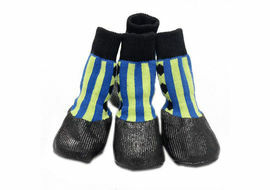 Come monsoon; gift this pair of printed waterproof rain shoes to your pampered pooches. These shoes from the house of Puppy Love are completely waterproof and provide the much needed comfort to paws while walking. 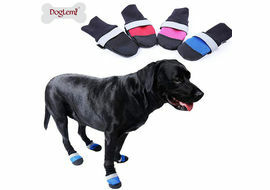 Unlike other dog boots these waterproof dog shoes have limited padding so that your dog can feel the ground beneath him giving him more confidence and ease of movement.The sole comes with high quality anti-skid bubbled grip preventing your dog from slipping on wet surfaces. With the knob-n-rope mechanism you can easily adjust the grip on your pet’s feet. 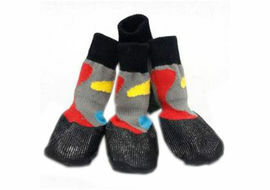 Reusable, durable, and 100% washable makes these Puppy Love rain shoes an economical, convenient and versatile choice. 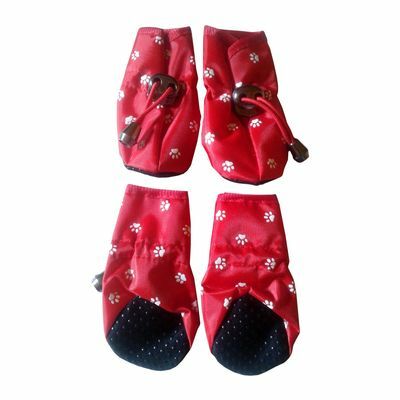 SIZINGThe sizing of Puppy Love Rain Shoes is as per USA international standards. 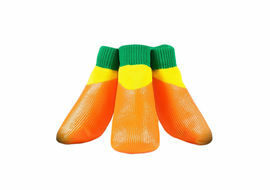 As a result the smallest size fits a toy breed dog and XXL sizes are apt for medium breed dogs. 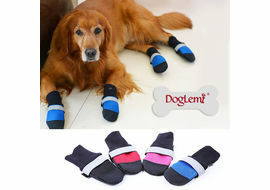 Size – Large (L)Length: 6.4cmsBreadth: 5.5cms HOW TO MEASURE:Length: Calculate from the tip of the of the middle finger to the ankle Breadth: Calculate the thickness of all four fingersNote: We highly recommend you to measure your pet’s paws appropriately before making the purchase. 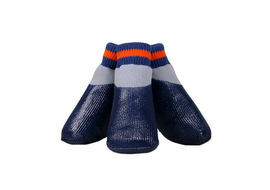 Replacement or exchange on apparels and footwear cannot be initiated under any circumstances.